In the 1940’s TWI was about building Supervisor capability, and it still is. Learn of the time-tested TWI skills that can help you become the best leader you can be. 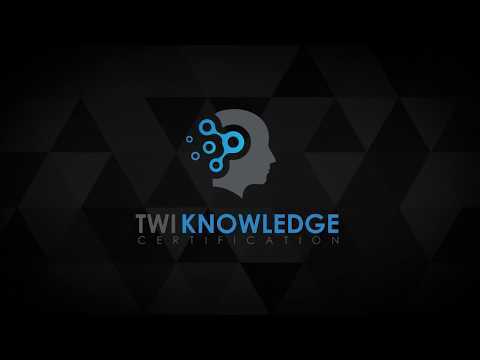 Acquiring TWI knowledge in advance of your TWI 10 hour class, will build a greater understanding that will accelerate your skill development. We are all more motivated to learn if we understand. Organizational benefits like momentum and sustainability will grow as more individuals gain this knowledge. By enrolling here you will have access to 80 years plus of the worlds most experienced TWI practitioners condensed into 168 minutes of discussion and an hours worth of questions framed by Patrick Graupp. Along with several case study examples, you will be taken through the why of TWI, Job Relations, Job Instruction, Job Methods and Problem Solving Patrick Graupp (TWI Institute Senior Master Trainer), Lis McNicholl and Dave Hyem from Boeing, Mike Braml (TWI Institute Master Trainer) and Denis Becker (UK TWI Institute Master Trainer). Our system is an efficient and effective way of learning about TWI if reading is not your thing. You can “come and go” as you please. An organization in the early stages of “investigating TWI”. In this case those charged with the evaluation will gain a thorough feel for what it is all about and the potential benefits they can realize. An organization including TWI Knowledge Certification for all individuals as a pre-requisite to 10-Hour classes in its implementation plan. Individuals who work in any organization expanding their TWI skill base. In this case individuals having completed TWI Knowledge Certification will arrive at their skill training with an excellent grounding in TWI. By enrolling now you will join Patrick Graupp and his co-presenters as they take you through the "Why of TWI," Job Relations, Job Instruction, Job Methods and Problem Solving. This services we offer in partnership with TWI Institute USA and Lean Frontiers. Corporate rates: $2,000USD for a 10 User bundle and $8,000USD for a 50 User bundle. We experimented with the first 5 with Production team members. NN and I wanted to know if it would create better knowledge prior to attending the JR class that I facilitate. I also informed NN how beneficial it was, she is now having one of our Engineers take it. NN will take the class and have our Area Expert Leaders take it. I would like it [the knowledge certificate system] to be part of the process prior to future classes I teach which I will discuss with NN.